Waffle’s aren’t just for breakfast or making ice cream cones out of! They also make a nice warm, soft bed for some fresh fruit and Nutella to rest on in their last moments before I devour them! 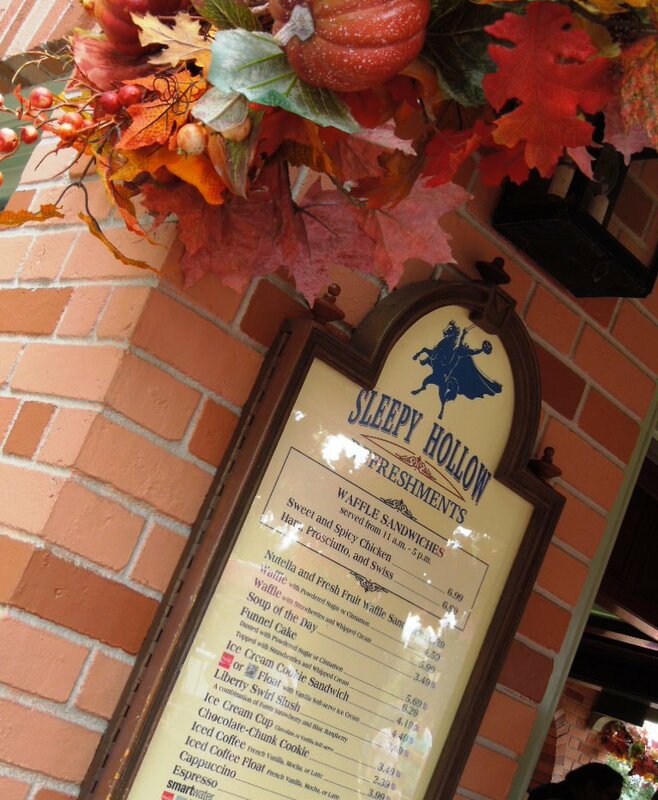 Don’t hurry to quickly through Liberty Square to get the the Hall of Presidents otherwise you will miss Sleepy Hollow Refreshments! 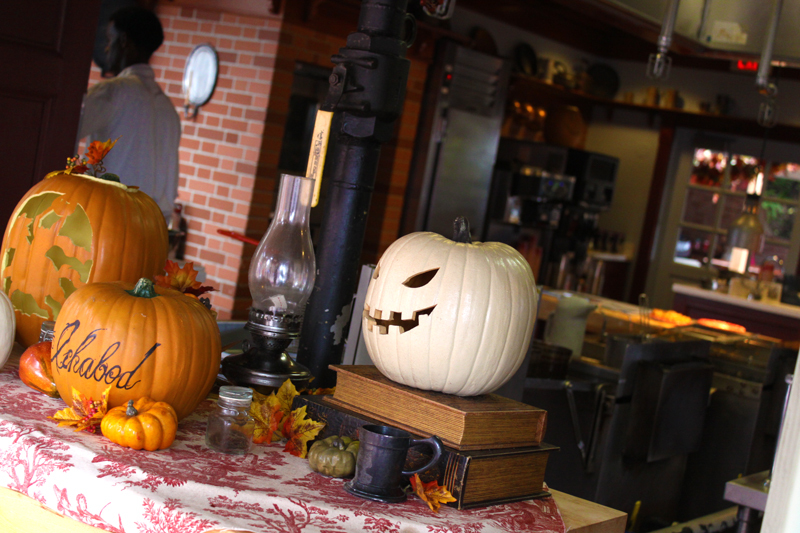 You will find this snack stand as you first enter Liberty Square from the hub. It is located on the parade route which gives you a great excuse to stake out a spot early for a parade! Have everyone in your party claim territory along the parade route (on the hub or in Liberty Square) and then you run and get yourself a snack! I guess you could get them something too. A snack credit may be used on a number of items on the menu but I would not spend a snack credit here. There are too many other snacks more worth of the Dining Plan credit! However, Sleepy Hollow is home to one of the best uses of the snack credit when it comes to monetary value, the funnel cake, at $5.69. As good as the funnel cake may be I urge you to try one of the waffle items. It is a more unique snack and don’t think you should waste a credit on something like that but that’s a whole post in itself. 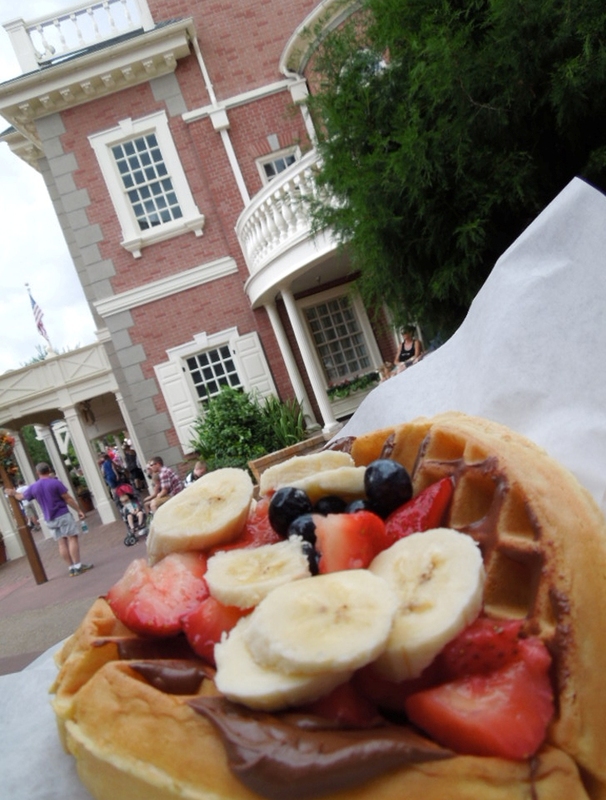 I can personally attest for the Fresh Fruit and Nutella Waffle! It is a winner! It goes for $6.29 and is easily sharable! I am also intrigued with the Sweet and Spicy Chicken Waffle Sandwich and the Ham, Prosciutto and Swiss Waffle Sandwich! They are on my to-do list and are $6.99. This entry was posted in Food, Magic Kingdom, Snacks and tagged Disney Dining Plan, Hall of Presidents, Liberty Square, Magic Kingdom, parade, Sleepy Hollow Refreshments, snacks, Walt Disney World. Bookmark the permalink.